We have all had a coral or two try to kill its neighbor. The main cause for this is territorial, but some corals just kill nearby corals because they can. Some simply reach out and sting while others can pump out toxins that can do more than enough to clear their bubble. Some can even nuke a whole tank if the coral is large enough, or the tank is small enough for that matter. Even some corals of the same genus may feel threatened by their neighboring relative. Last but not least, some corals just grow so big they cast a devastating shadow over the shorter corals. 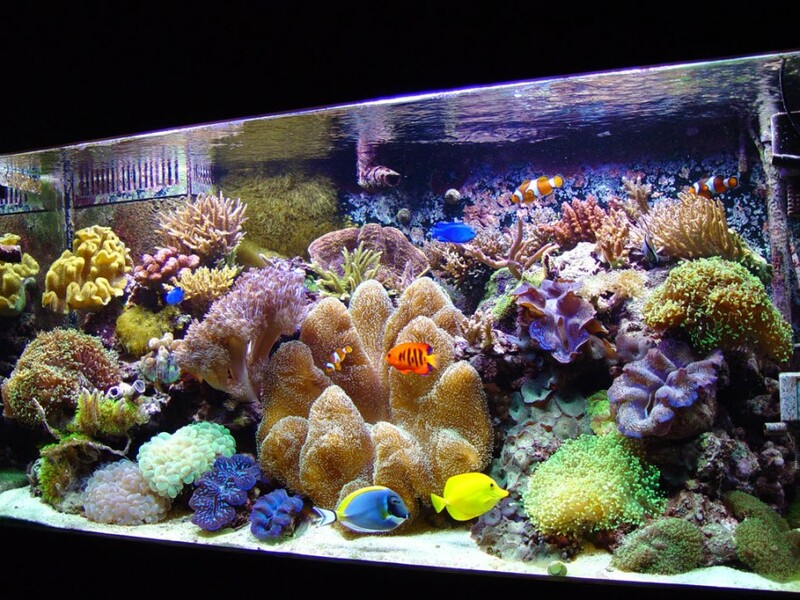 If a truly packed tank is your goal than you must be aware of the cost of all those corals. Some corals are very peaceful and can be tossed together but there are some that are less predictable. The future compatibility tests will involve a frag of the coral you plan on “cramming.” After the frag has healed and is ready for life in the tank you are ready to proceed to experimentation. This test can be done in tank using a frag of each coral in question. Place them as close as you plan to put the mother colony and let them settle in. After a week or two if the corals are not stinging eachother you can almost guarantee they will live in peace, but not always. 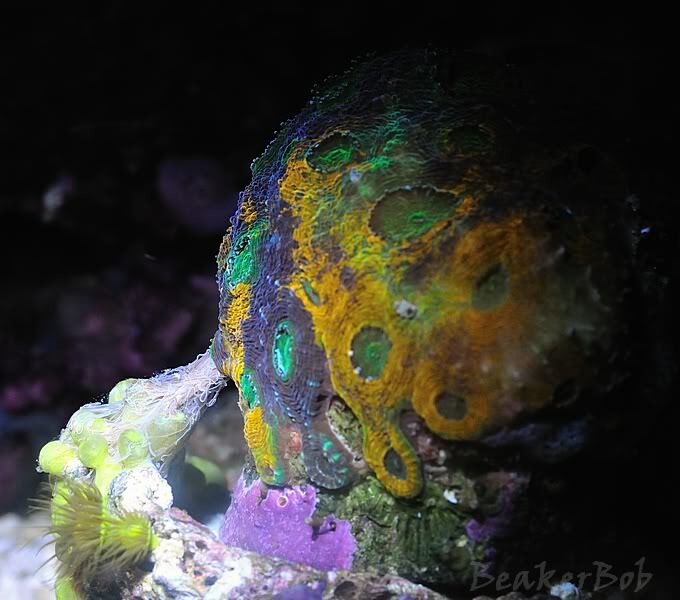 Hammer Corals and Frogspawn are a good example of corals that may or may not get along, while also being too expensive to try to test whole colonies. These are much trickier, and risky. When testing corals that can pump out the juices you will never want to experiment in your display tank. Quarantine these corals with proper lighting and test them outside of your main system. This allows the corals to battle eachother within the safety of a quarantine tank and you will not have to worry about your existing live stock getting harmed. For corals that just get too darn tall you will need to account for this by placing them somewhere that you won’t regret shading. Most leather tree type corals are placed on the bottom so they can grow up and not over corals. Keeping them trimmed will also help, but some leathers can excrete the toxins AND grow tall. Always have carbon ready for when you have to frag them if you cannot do it outside the tank. Some corals can move. 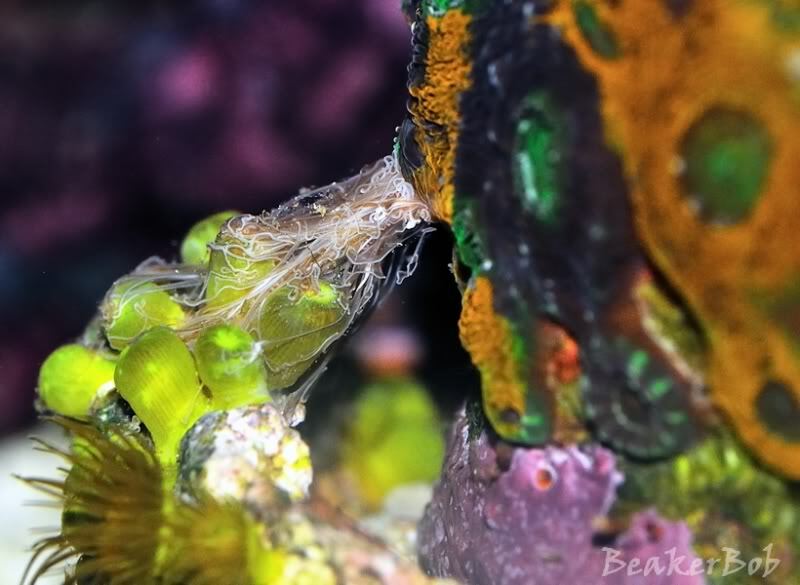 Coralimorphs, anemone, and even plate corals can make their way to appropriate-to-them areas in your tank. If you have wanderers than make sure they have a path available to them that wont get them in a bind with other creatures in the tank. If your sand is home to aggressive wanderers than limit it to similar corals that won’t be irritated by each other. With proper preventative action and a little sacrificial experimentation you can have a tank that is crammed as tightly as you want it. Follow these steps and you won’t have an in-tank fiasco that ends up costing more than the coral that nuked them. Not all corals will die from stings and most can grow back upon quick rescue. My brand new candy cane coral was once victim of a chalice sting and it healed within a week. 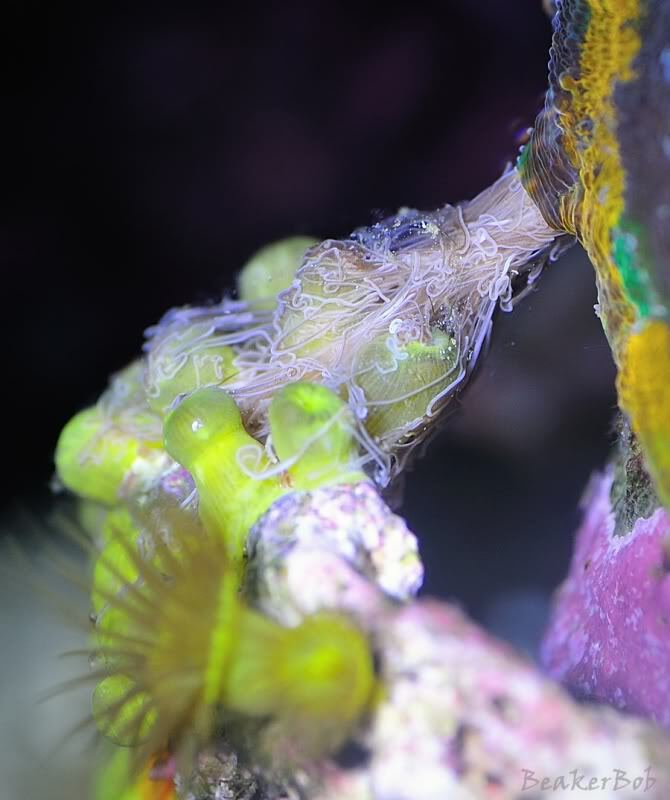 If you want to learn more about coral compatibility check out the (Coral Discussion Forum). Also check out these coral warfare photos HERE.